Give your off-duty wardrobe a chilled vibe with this beige top. 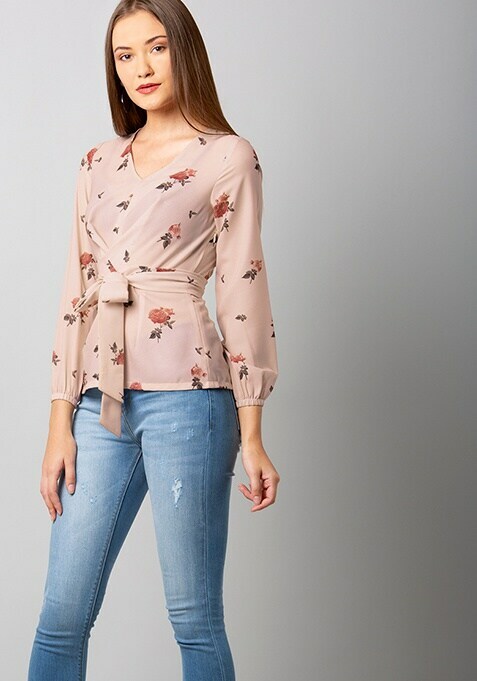 Features floral print and a tie-up on the front. Work It: Style this top with tailored trousers and your favorite wedges to look super cute.